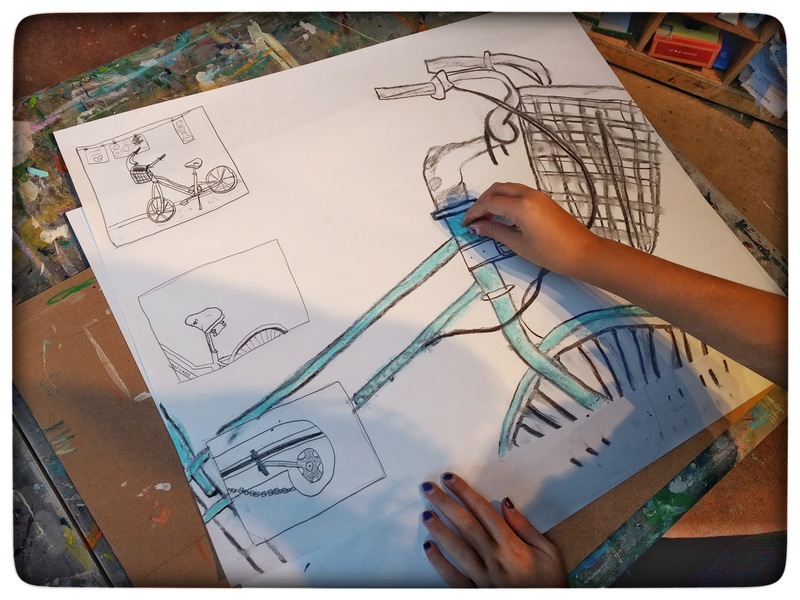 Bicycle studies to kick off the fall session. This lesson is all about composition, different types of lines, creating value with charcoal, and getting messy. Once they have their 3 boxes drawn, i take away the erasers! Mistakes are opportunities to continue your drawing. Students start by doing 3, 5 minute studies in pencil. 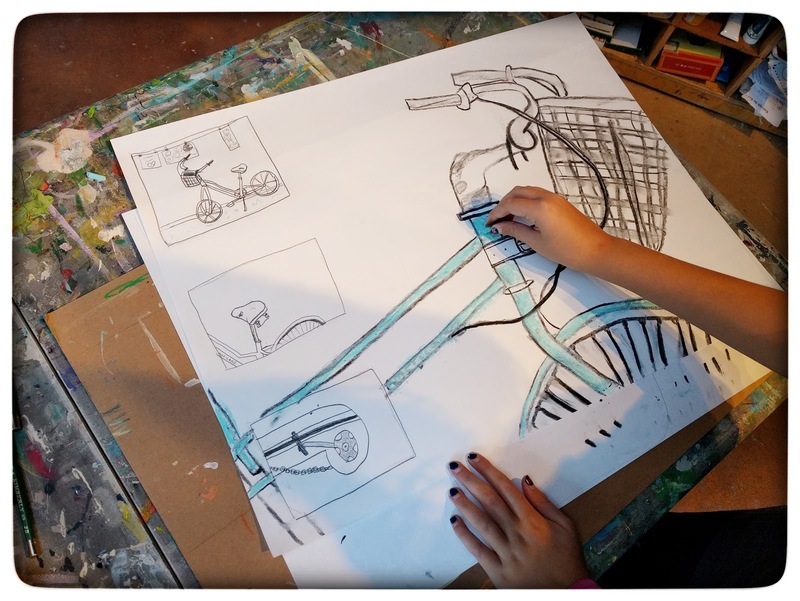 The first study is a contour line drawing of the entire bicycle. 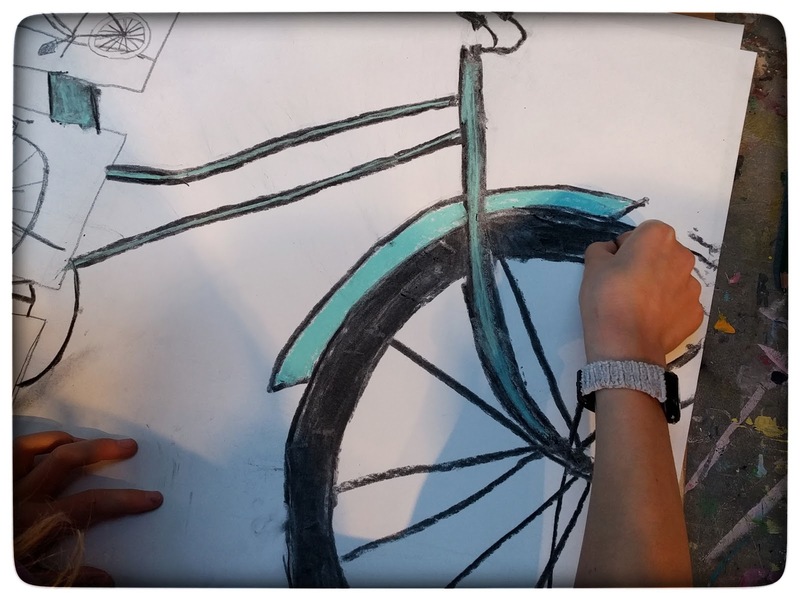 The second study, I ask students to do a close up of one part of the bicycle. 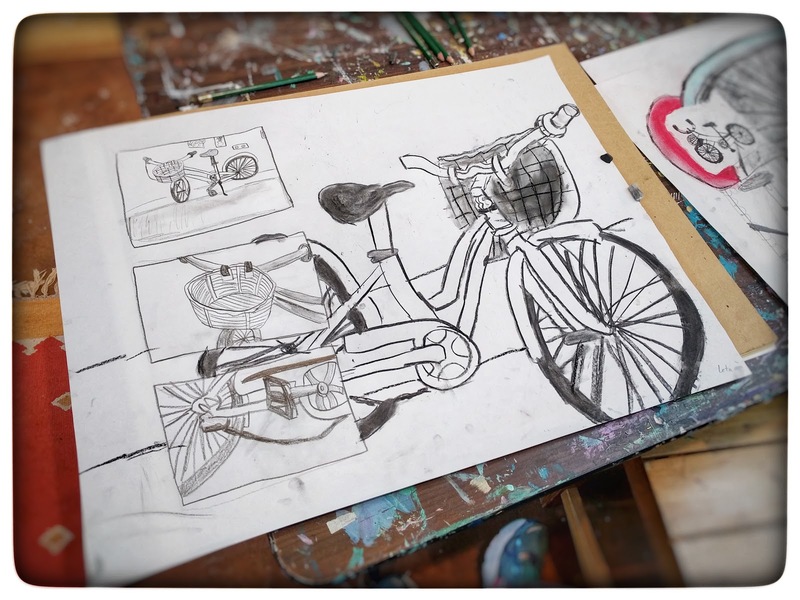 Often, students do not zoom in very close, the 3rd study is another close up of a different part of the bicycle. A second chance to zoom in on details. 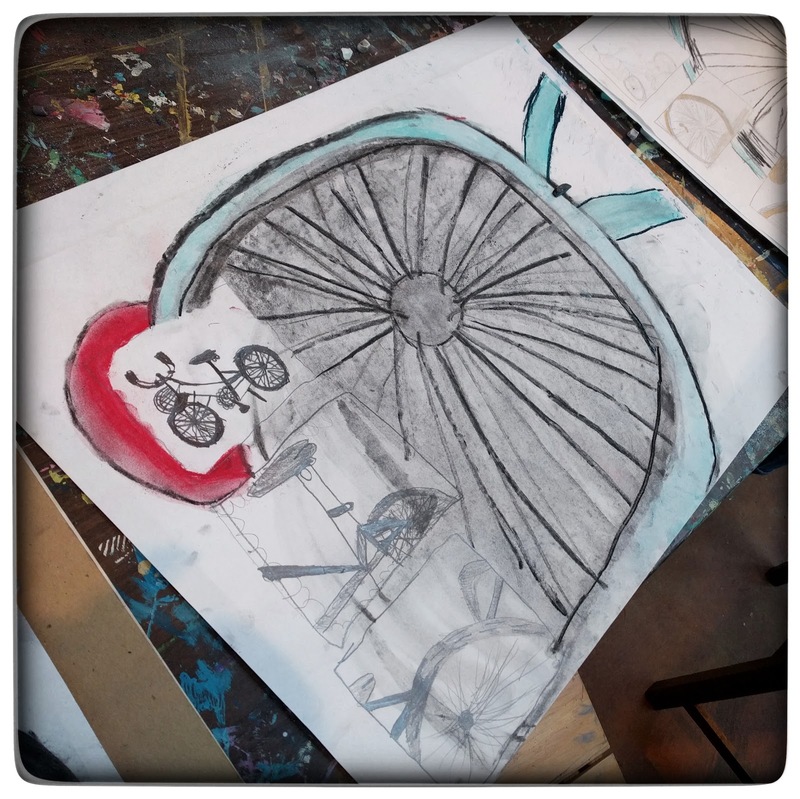 Students then have about 1/2 hour to do a detailed charcoal study of the bicycle on the rest of the page.